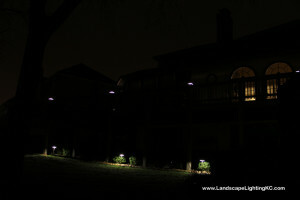 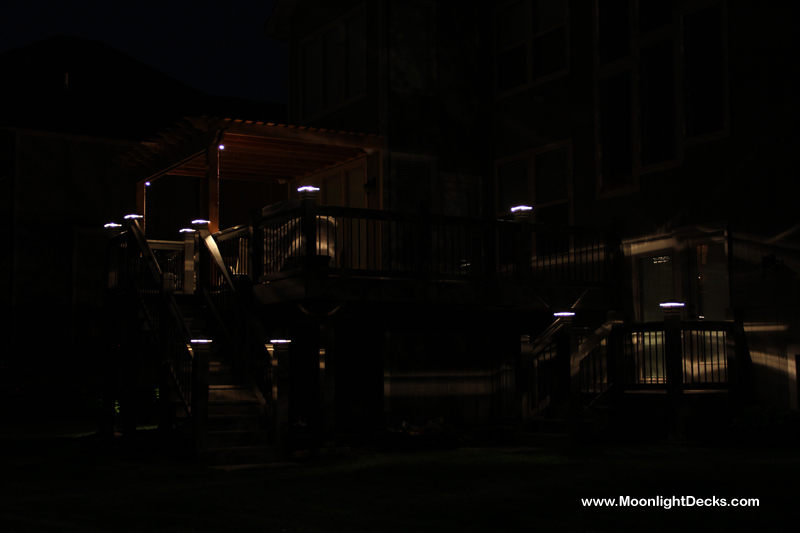 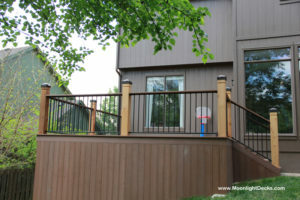 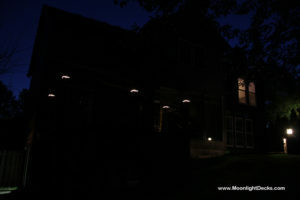 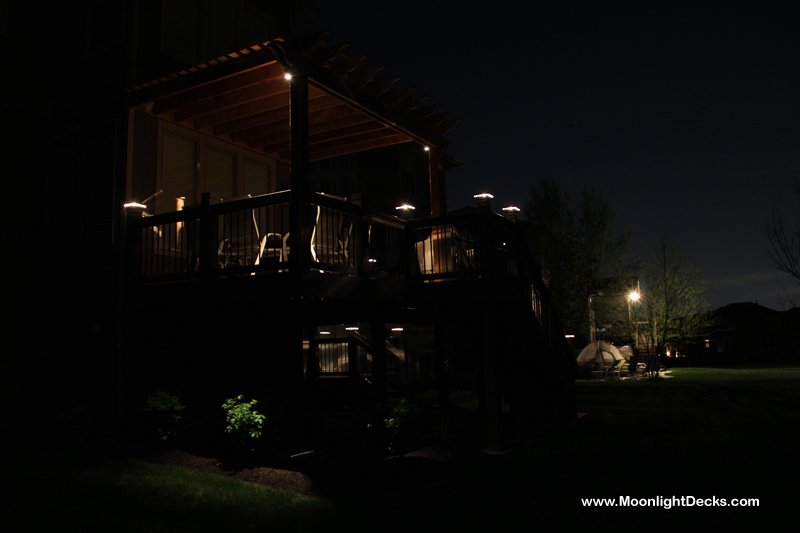 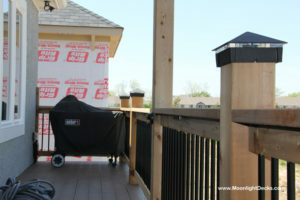 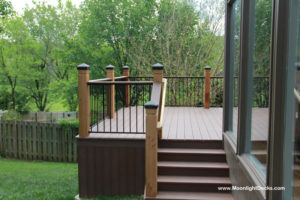 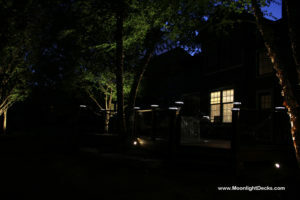 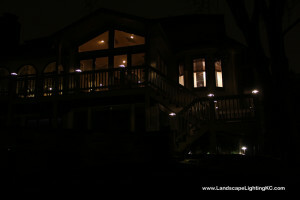 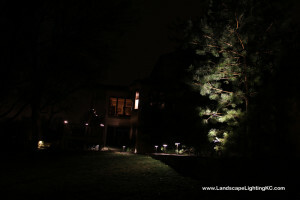 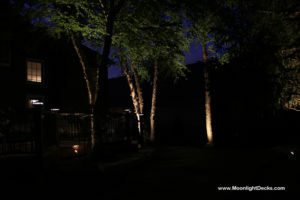 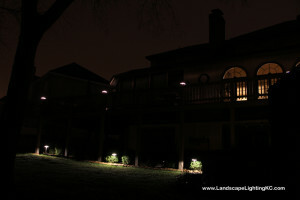 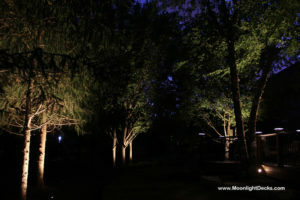 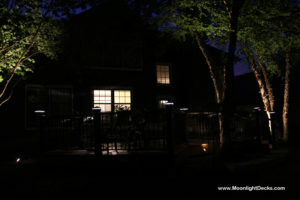 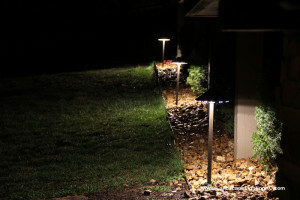 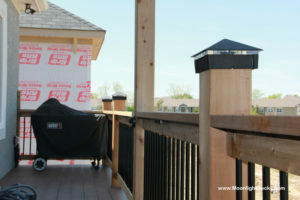 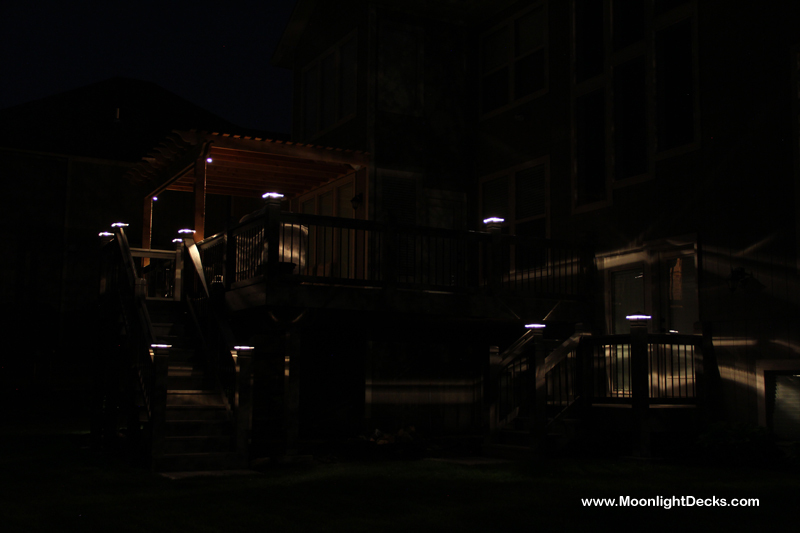 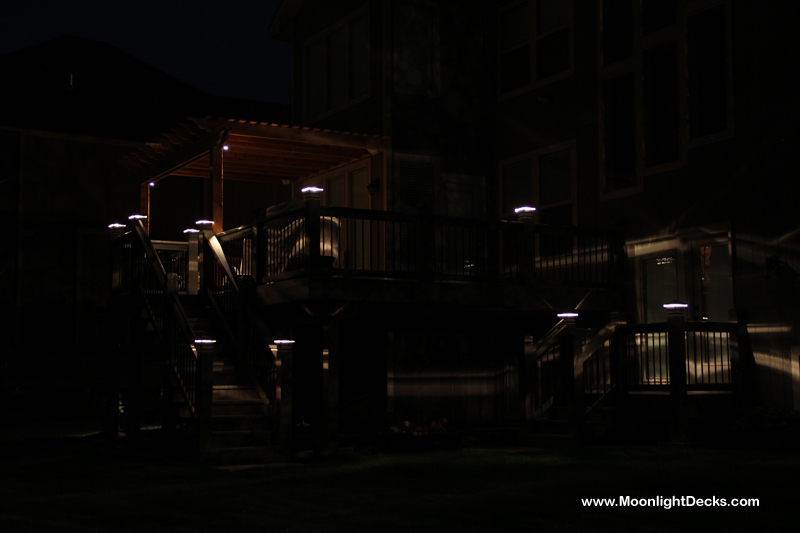 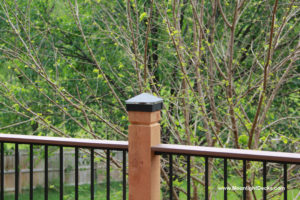 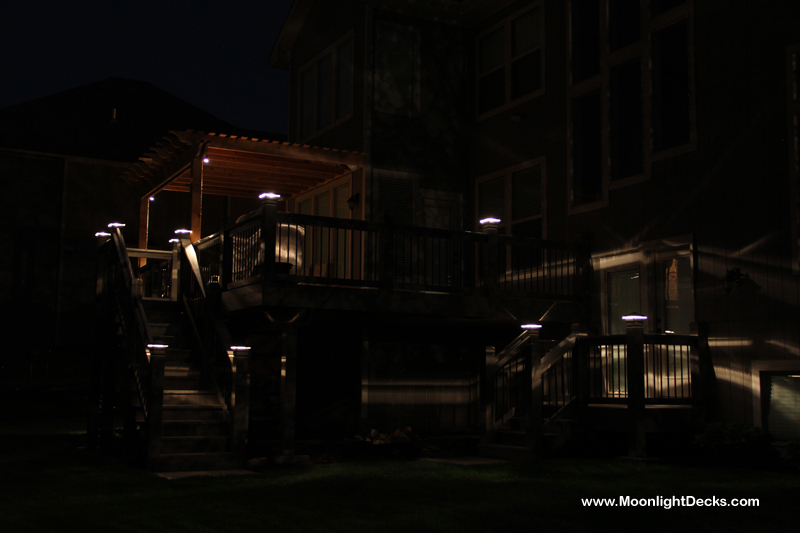 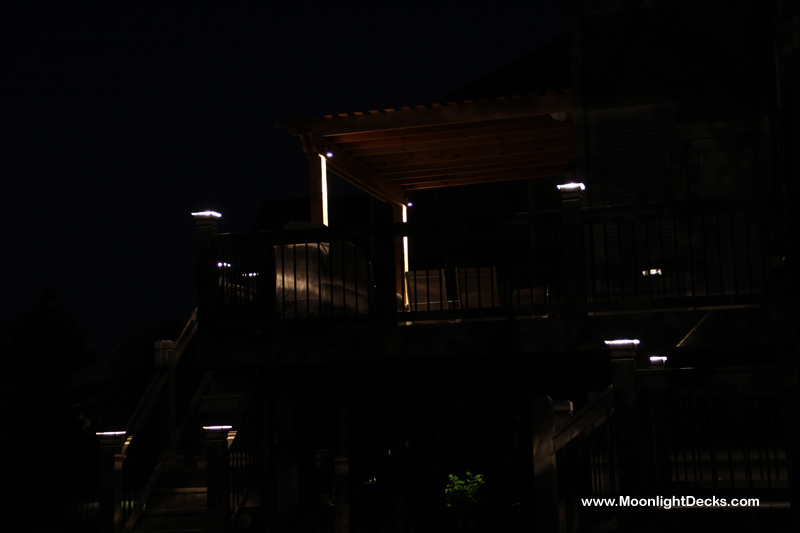 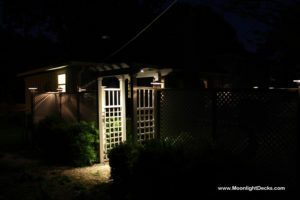 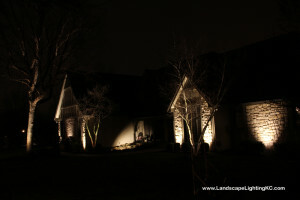 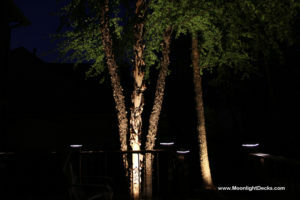 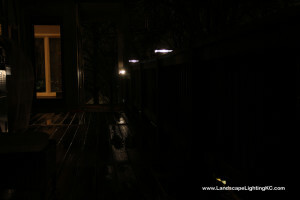 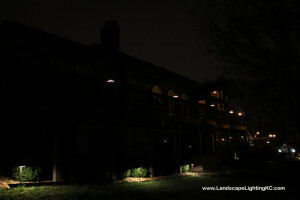 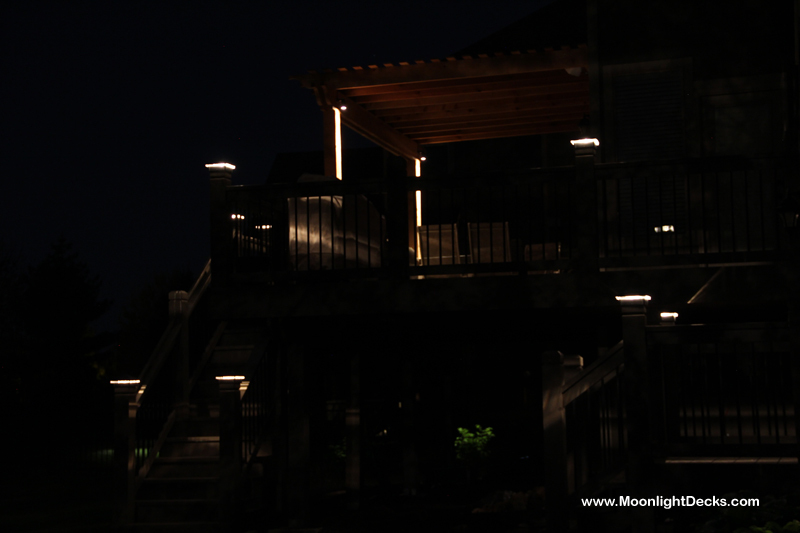 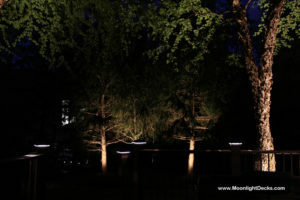 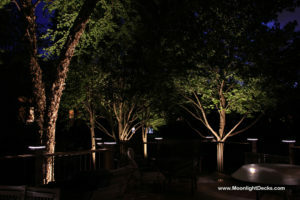 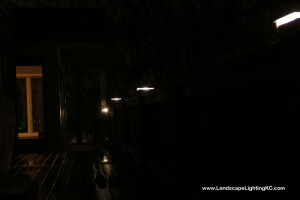 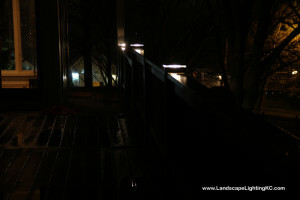 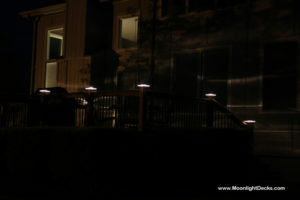 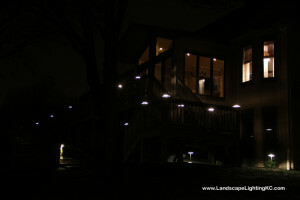 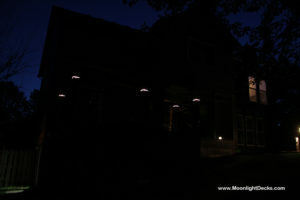 We installed new deck lighting in Overland Park. 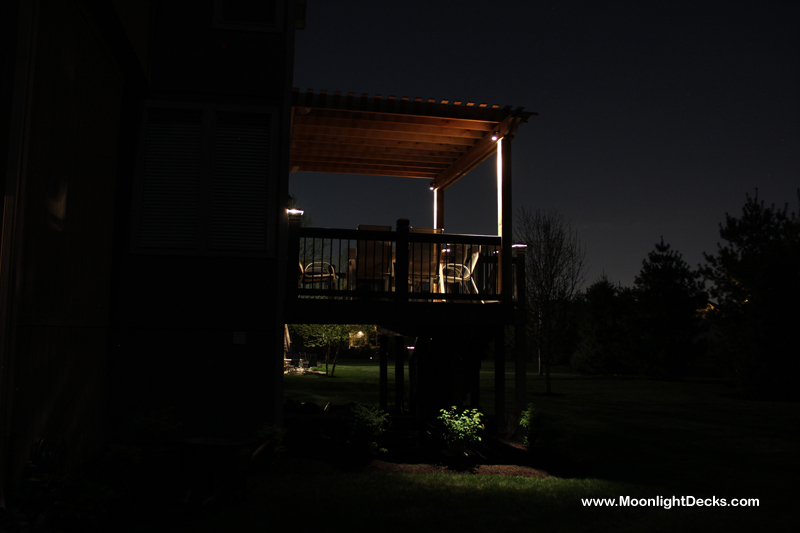 We also installed a couple of fixtures on the new pergola. 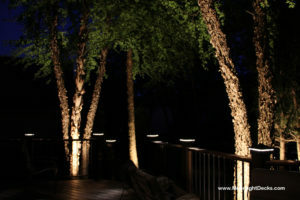 Our hammered black wrinkle lighted post caps transformed this dark deck into a perfect place to entertain friends and family. 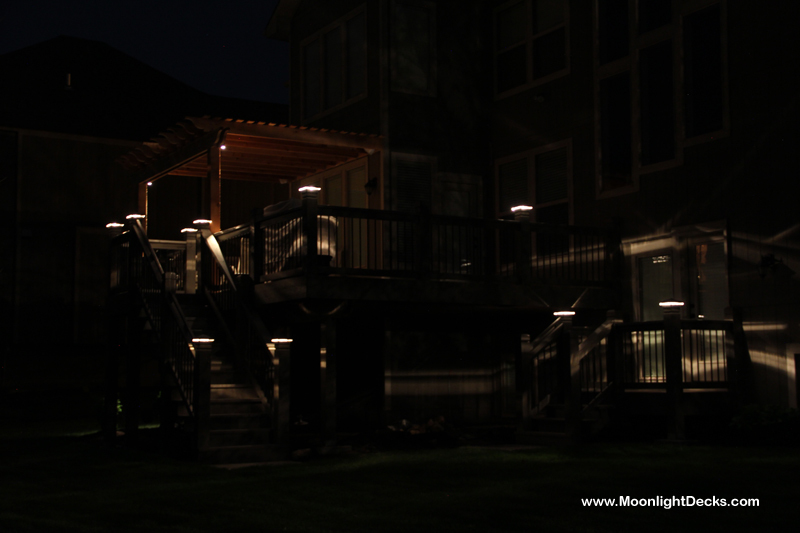 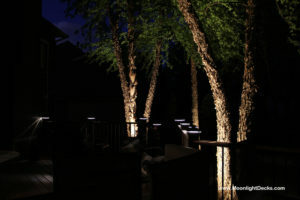 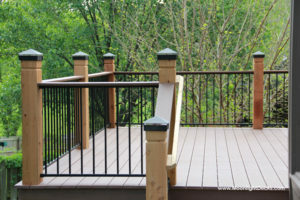 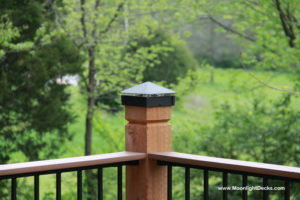 Please give us a call if you’d like to add deck lighting to your deck. 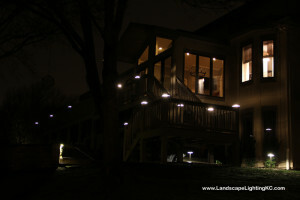 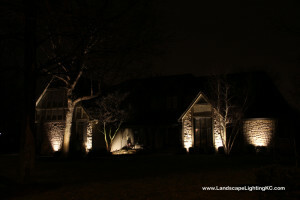 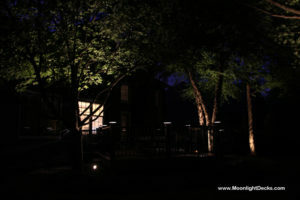 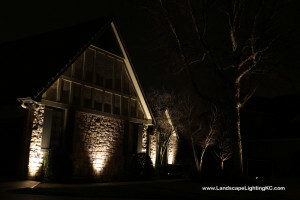 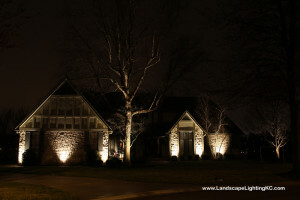 We just finished a deck lighting project in Kansas City, MO. 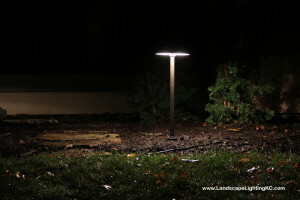 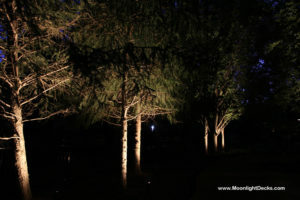 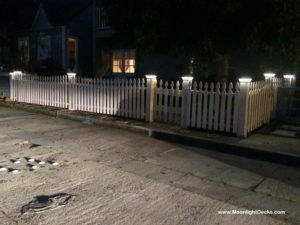 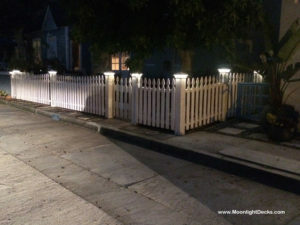 We installed several lighted post caps with the black finish and 6″ bases. 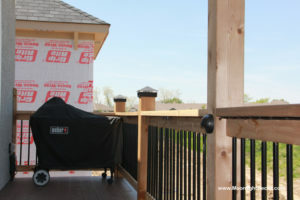 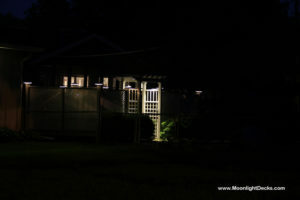 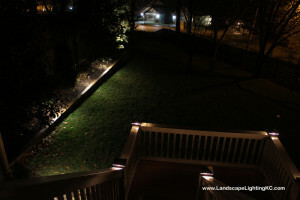 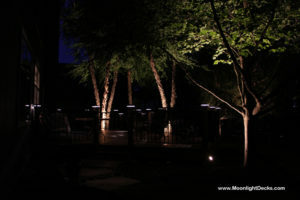 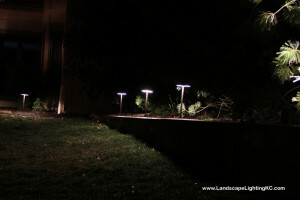 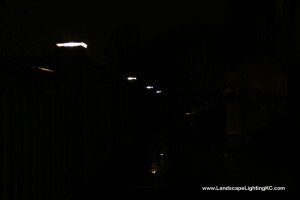 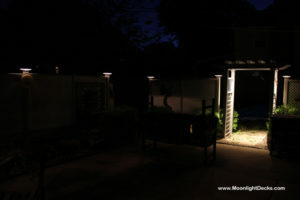 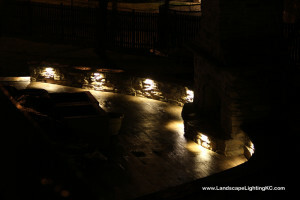 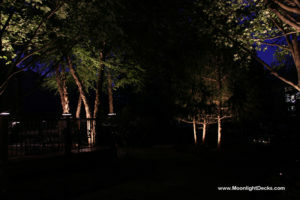 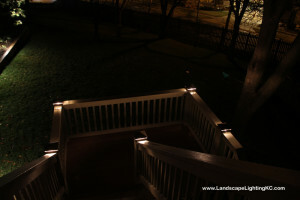 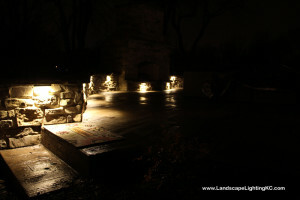 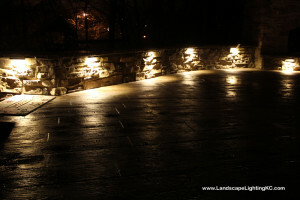 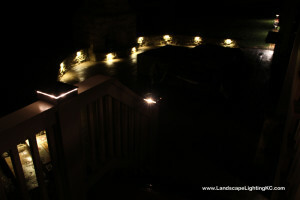 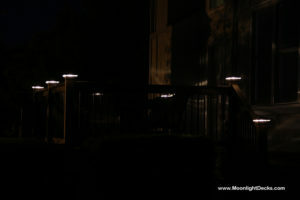 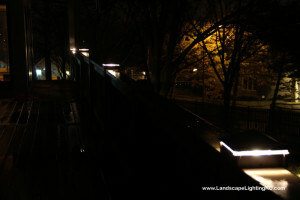 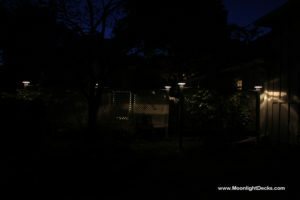 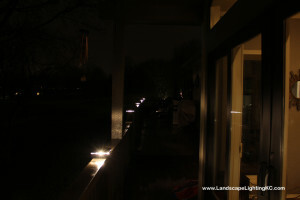 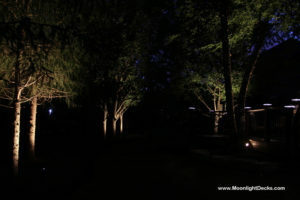 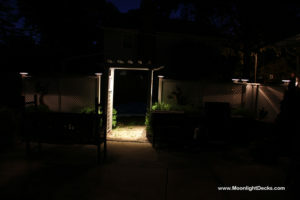 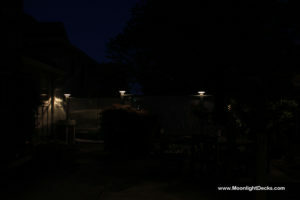 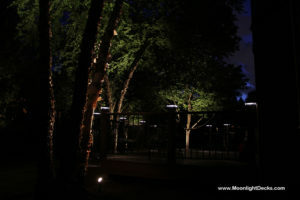 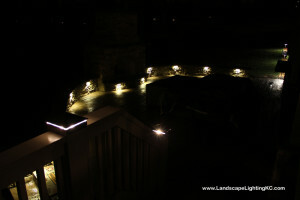 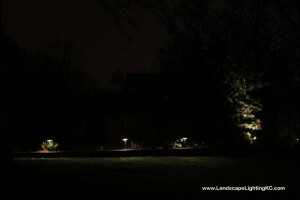 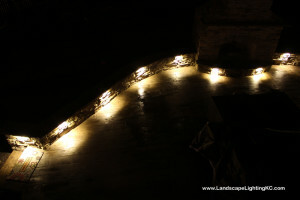 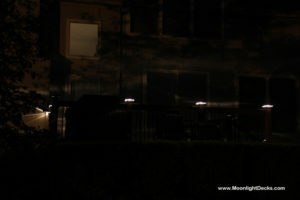 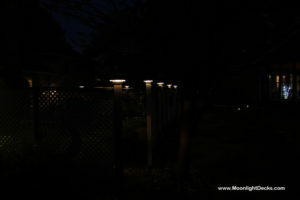 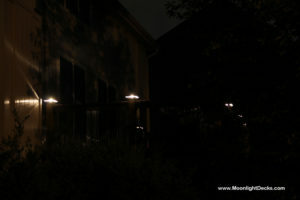 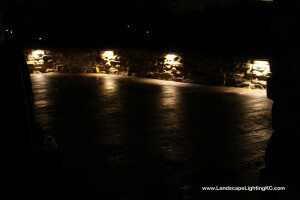 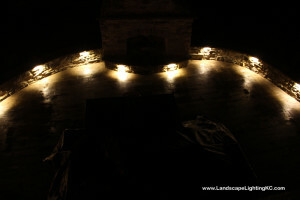 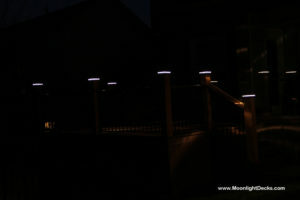 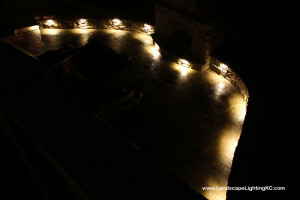 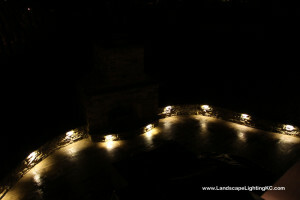 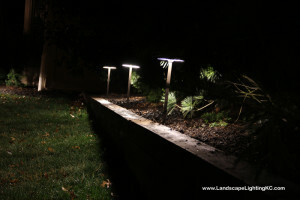 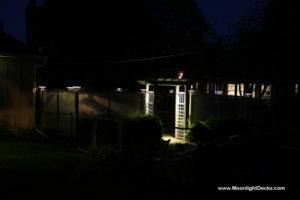 We also installed several under rail LEDs on the sitting wall around the patio. 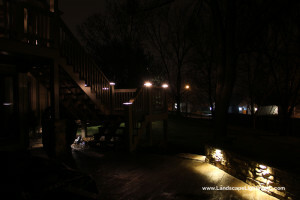 The pictures below don’t necessarily do it justice.